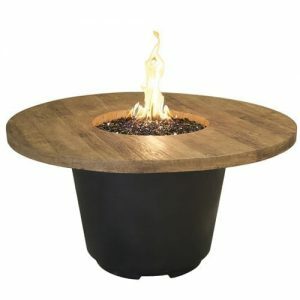 Add some rustic flair to any outdoor room with the Reclaimed Wood Cosmo Gas Fire Pit Table – Round. 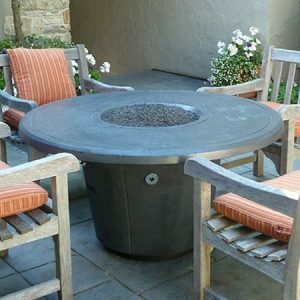 Constructed from glass-fiber reinforced concrete and sporting a 140,000 BTU burner this table is sure to get people talking. 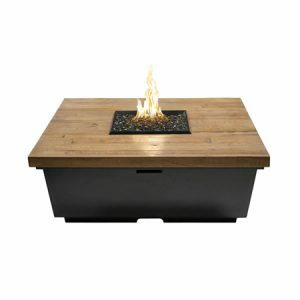 The “reclaimed wood” style top looks great and since it isn’t actually wood there is no safety hazard. The access door in the base allows you to store a standard 20 lb. propane tank completely out of sight. 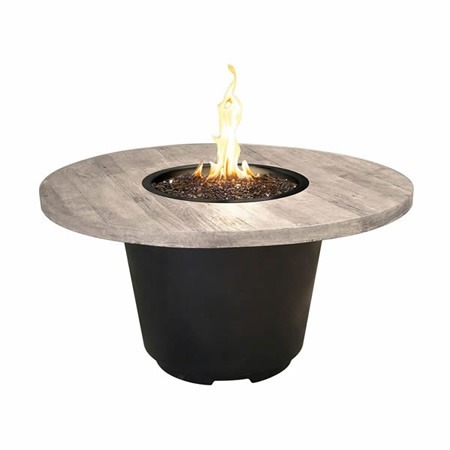 Beautifully handcrafted in the United States, the Silver Pine Cosmo Gas Fire Pit Table – Round will match just about any theme you could imagine. Entertaining your guests has never been so easy. 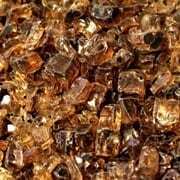 Suggested Fire Glass: 30 lbs.